We provide all types of laser treatments at Lane Dermatology and Dermatologic Surgery and Lane Aesthetics in Columbus, GA. With a variety of laser, radiofrequency (RF), intense pulsed light (IPL), and photodynamic (PDT) treatments, we are able to serve a large and diverse population of patients. 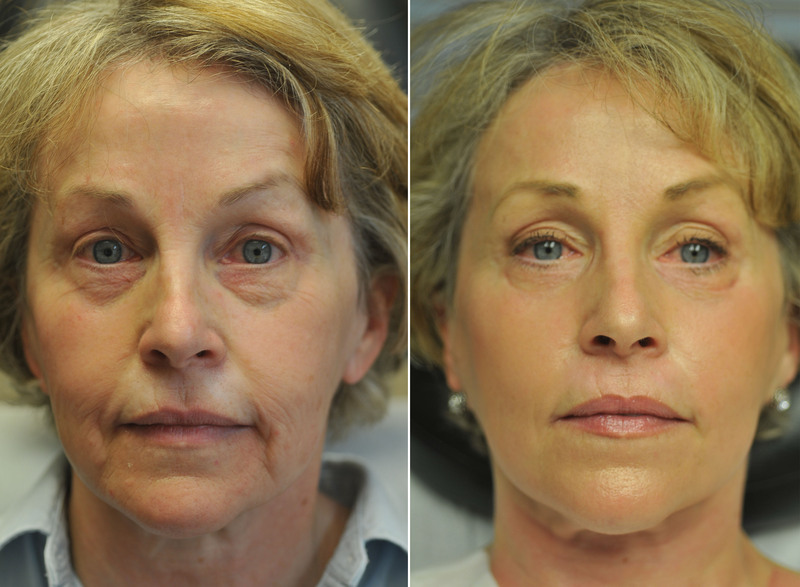 Many laser treatments are primarily used to treat skin laxity by facial tightening, and are best suited for patients with mild to moderate sagging of facial tissues, usually those in their mid 30s to 50s, with any skin color. It is commonly used to treat the forehead, under the eyes, cheeks, mid-face, jaw line, and neck. 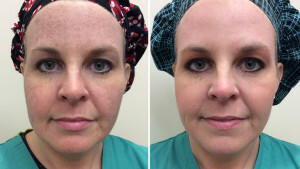 Based on current laser treatments and technologies, most people should see at least a mild improvement in their skin tightness, with minimal risks and downtime compared to surgery. Fraxel treatment uses patented fractional technology to target damaged skin with microscopic laser columns that penetrate deep into the skin. The laser treats only a fraction of tissue at a time, leaving the surrounding tissue untouched, which promotes rapid healing. This stimulates your body’s own natural healing process, replacing the old and damaged cells with fresh, glowing, healthy skin. When do results appear? And how long do they last? Desired outcomes are typically reached in multiple treatments. The specific number of treatments is tailored to your goals and desired results as well as your lifestyle. We will work with you to identify the appropriate level of treatment and your preferred downtime. Fraxel treatment is a safe option backed by extensive research. Of course, as with any laser procedure there’s always some risk* and/or downtime. You should discuss this with your clinician prior to treatment. The Fraxel Re:pair is the most powerful cutaneous laser and aimed at fighting wrinkles and chronic sun damage. Dr. Lane has used carbon dioxide lasers since his training and has published numerous peer-reviewed journal articles and textbook chapters on multiple uses with the CO2 laser. Fractional laser technology means that precise surgical laser pulses are delivered such that small skip areas of normal skin remain to speed up the recovery process. This method also allows for the skin tightening effect of this laser. The GentleYAG laser system uses a high-energy wavelength that emits a gentle beam of light target problem hair without affecting the healthy surrounding skin. The skin is first sprayed with a cooling device to increase comfort during the procedure. The GentleYAG has a long pulse duration to effectively remove hair no matter how fair or dark the patient’s skin type. It eliminates the endless hair removal headaches of waxing, plucking and shaving. The procedure is less painful than electrolysis, less tedious and can be completed quickly. 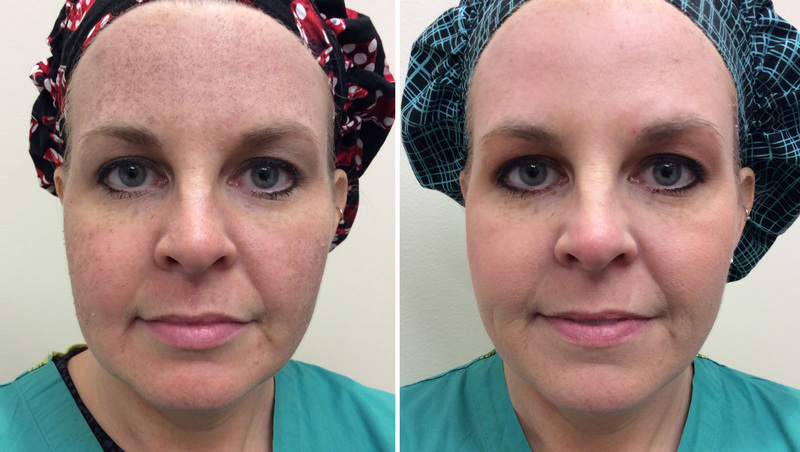 Delicate pores and skin are safe during this procedure. The laser energy is transformed into heat permanently destroying the hair at the follicle without damaging surrounding skin. The whole process can typically be completed in under 30 minutes to an hour. • Minimized pore appearance Clear + Brilliant helps you recover the glow of younger-looking skin. What is Clear + Brilliant pélo™? The Clear + Brilliant pélo laser is a new hair removal system that combines innovative linear scanning technology with a powerful skin cooling device, resulting in a fast and effective treatment with minimal pain on contact. With linear scanning, a diode laser beam is scanned through the chosen skin area, selectively heating the hair follicles without causing injury to the surrounding skin. The Clear + Brilliant pélo linear scanning offers the advantage of high power density in the actual laser beam, allowing for high amounts of energy to be delivered in short pulses, making the treatments effective. Its large treatment area requires few positionings of the hand piece, resulting in very short treatment times (e.g.average 10 mins for a back). Does it work on all types of skin? 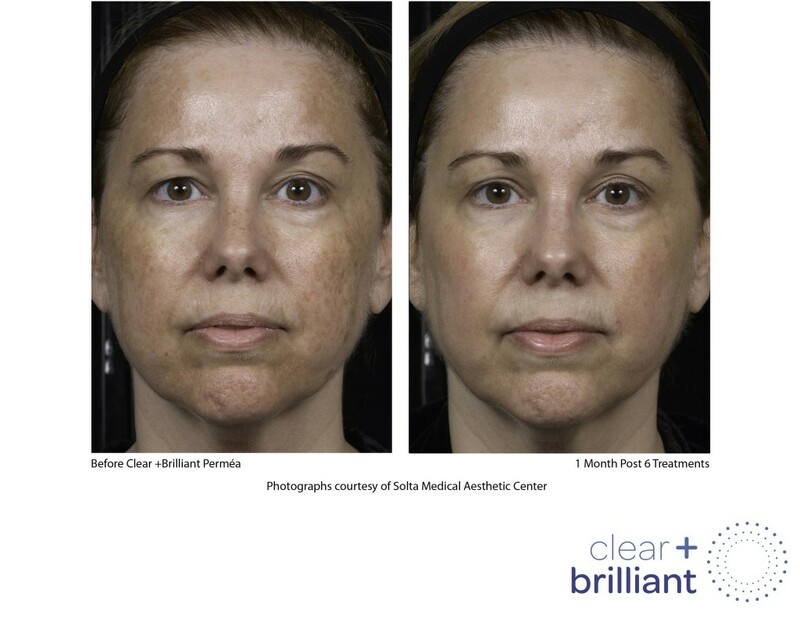 Yes, Clear + Brilliant pélo can be used safely and effectively on skin types I-VI. Why is it faster than other devices? Clear + Brilliant pélo has a large treatment area of 50mm x 15mm and can use high energy in short pulses. The combination of these features makes it faster than traditional diode lasers, while equally effective. How does it minimize pain? The Clear + Brilliant pélo™ handpiece is equipped with a powerful contact cooling device consisting of a sapphire glass that can be cooled down to 32°F. The strong cooling effect minimizes pain on contact. With Clear + Brilliant pélo, there is no need for numbing creams. How often should treatments be repeated?